Do you also have the same feeling that this week is going quiet fast? It is no where as fast as the last weekend though ;-) It is quiet cold and dark here, some snow here and there but more ice than snow, booh. I am so ready for spring. 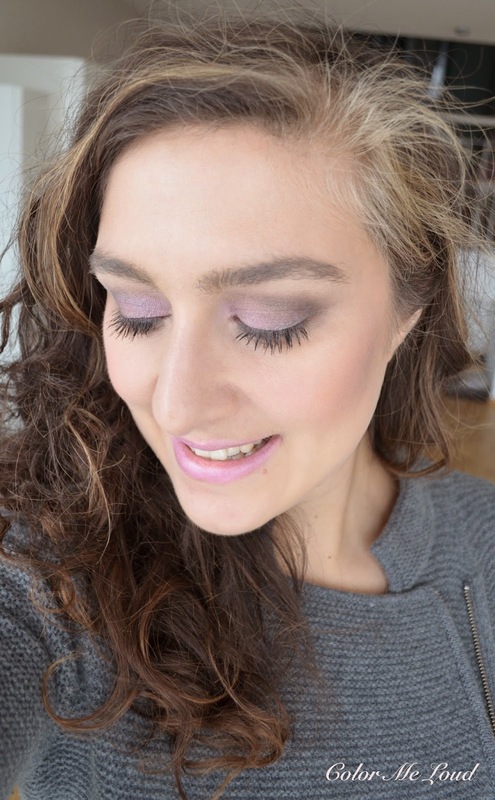 Today I have soft pinks and taupe for the eyes. 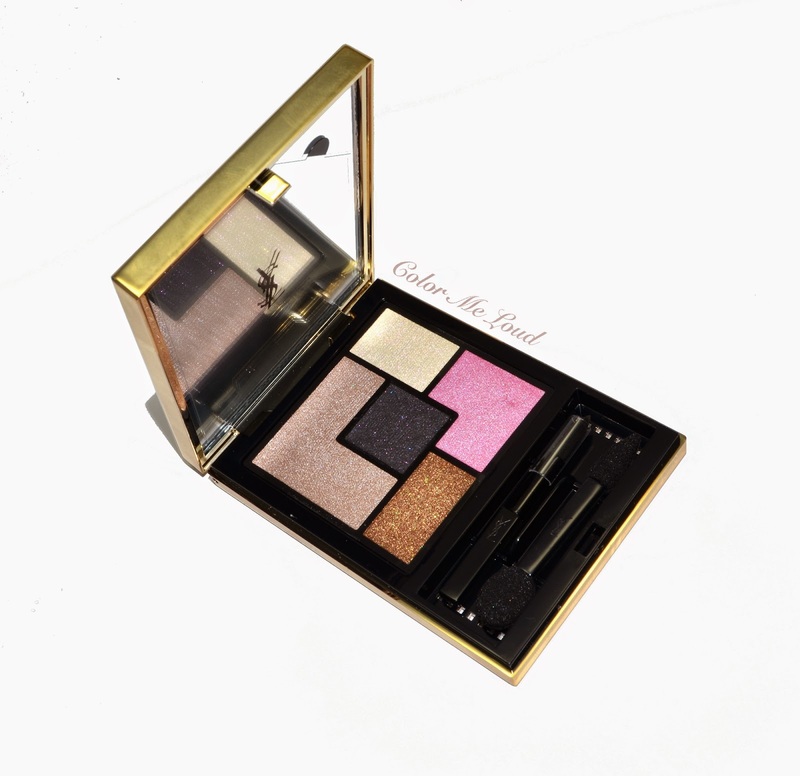 YSL Ombres De Jour Eye Shadow Palette has a lovely color story. The first time I saw it, I must sighed with happiness. Does it delivers what it promises? Let's try to find out. YSL has gorgeous seasonal packaging. This time they have went for pink beads and a black ribbon with company name on it. For some, including myself, this can be an argument alone for wanting to own such a pretty object. The light almost dances on the surface of the lid and the design looks to be robust, love it! If even gets better once you open the lid. The color combination is unique, the colors are very wearable. The new design of YSL Quints is anyway to die for, almost a work of art. The middle shade looks intriguing, especially because it has sparse pink glitter in the pan and one can't help but wonder how it will perform. Upper left: A light to mid toned natural taupe with shimmery finish. Since it is the largest pan, it is thought to be a base shade. It is a great all over color for fair skinned. For me though, it doesn't show up properly on my lids without a colored primer. Upper right: A very light cream white with shimmery finish. Great for inner corner highlight or if you have a light hand, it may go below the brow bone as well. Bottom right: A light cool pink with shimmery finish, my favorite color of the palette. It shows up nicely and brings spring to the eye lids. Love! Bottom left: Mid-toned to deep warm bronze shade with shimmery finish. This one is really unexpected and it does work wonderfully with the others. I like using it on the outer corner but it can even be applied alone all over. Center: A very deep black shade with sparse pink shimmer. The base of this shade is satin to matte and a little dry to touch, which I rather appreciate because that way it doesn't blend to nothing and can be placed precisely. What I don't appreciate though is the fall out. Not only the pink glitter falls out but the black shade as well. For the look below, I have started by applying the base shade (upper left) all over the lid, then padded some of the bronze (bottom left) on the outer corner . At that stage it looked like my lids were lifeless, very natural indeed but not a look I would happily wear. I reached for the life of the party, the pink! Oh how pretty it is. It was supposed to go in the middle but I happily smeared it all around. Then it was all too pink, lol. I added a bit of bronze to the outer corner and black on the crease, some white on inner corner and bronze along the lower lashline. It looks like I am wearing just one shade though, too bad but I still liked it. I have talked about it before, YSL's new formula is very easy to work with and very wearable but for my drama loving heart it all blends a bit too much. It is just a matter of taste though. I have combined this eye look with Tom Ford Olivier on the lips and Tom Ford Frantic Pink on the cheeks. I especially enjoyed the lip eye combination here, can you tell I am loving Olivier? This look reminds me of a less smoky version of Suqqu Ex-20 Natsubotan which I enjoyed so much last year for Summer. 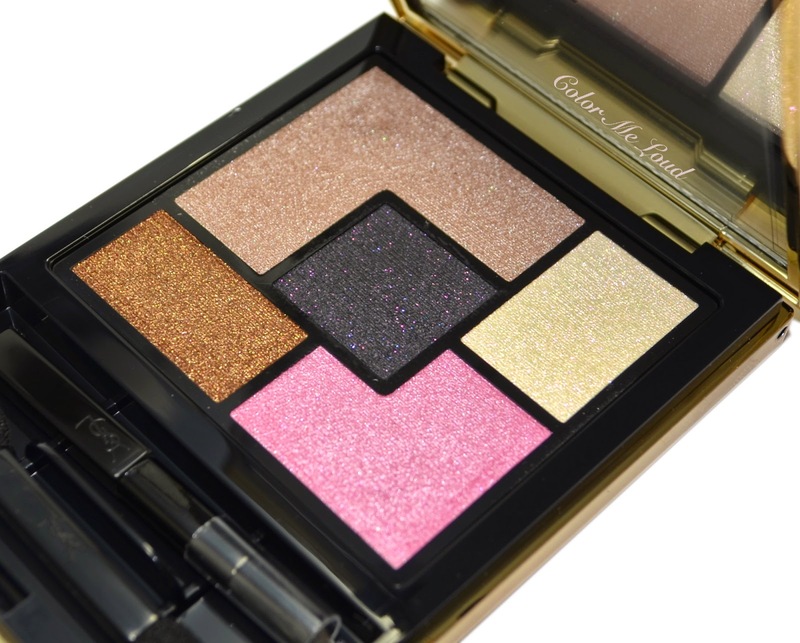 If that pink is too soft for you, go for YSL Palette Couture #9 Love from the permanent range (reviewed here). 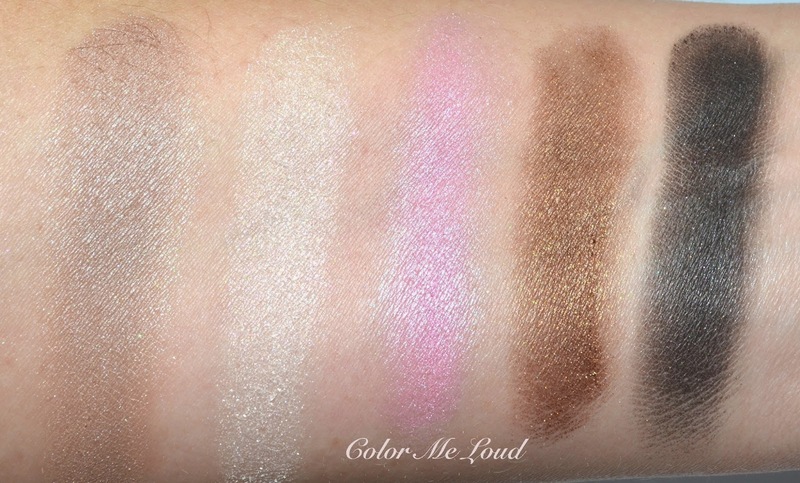 Check out Belletristic Beauty and Silverkis for more swatches. Final thoughts: Although I would wish less fall-out by the black shade and a little more color intensity with the taupe base, I still like the resulting look I can achieve with YSL Ombres De Jour Eye Shadow Palette. Availability: It is limited edition and now available world wide. What is more important for you in a palette, performance of each of the shades or an original color story? Aww lol thanks so much. Really there are things which don't work on me a bit but I don't show them all here ;-) I think glitter is the worse thing, very hard to remove. Oh yeah, I don't really do glitter either. Oh, I really like this! It looks lovely on you. Dein Look ist toll geworden! vielen Dank, ich mag die Kombi mit Olivier, fast Ton über Ton. I like the look you achieved with the palette, but when I looked at it in the store I decided to pass on it. I haven't dipped my toe into the YSL palette pool yet. I think my first one will be #11 Ballets Russes. It's calling me. I am sure there will be one which will steal your heart. #9 Love and #11 Ballet Russes are my favorites. I have reviewed both some time ago, might help you make your decision. It looks lovely on you as always, and I kinda liked the way it ended up looking on my lids too. The only problem I had was, when you look at something so stunning, and it doesn't translate into a bold look but something unexpectedly soft, my heart just sighs. You know what i mean? And fallout... argh, i really hate that. I love the way these shades look on you! I have Sharienne (04) from the permanent line and find the texture grainy - milled not finely enough, thus the fallout and a slightly powdery look. And I still can't forgive YSL their last year's spring palette, which was a catastrophe in terms of color payoff. In US probably everyone returned it, I couldn't here in Europe. I am usually easy to convince for the new eyeshadow, but my trust in this brand is kind of broken. It looks nice on you, but for its price it must be mindblowing. 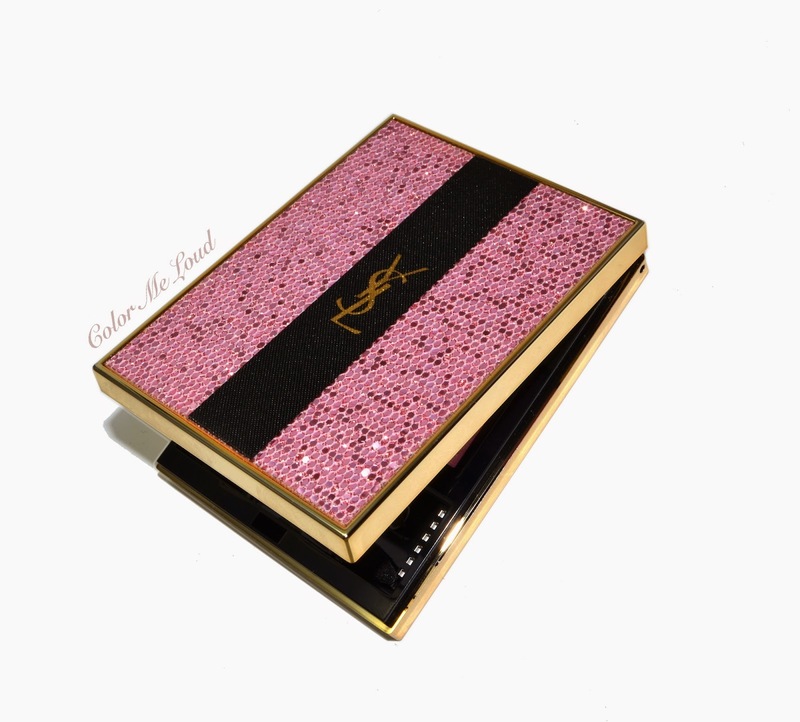 YSL always kills it with their packaging! Gaah! It's so beautiful! The inside is just as gorgeous! Very nice color combo that I can see myself wearing often! You also killed it with your eye and lip color combo!